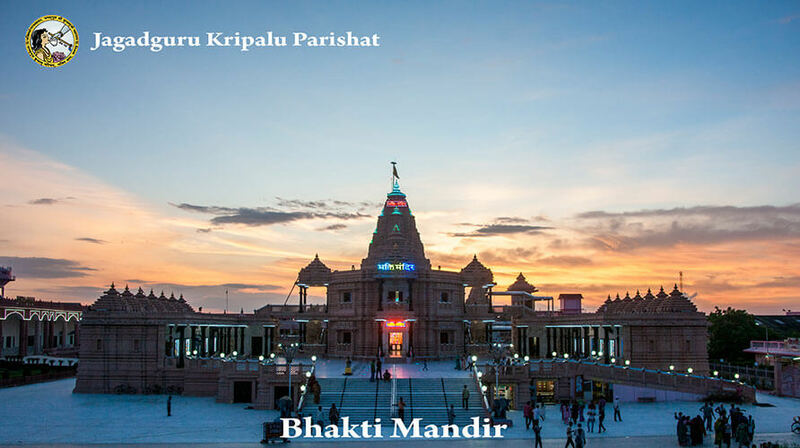 Bhakti Mandir, one of the most beautiful temples in the world, was constructed with the guidance of Jagadguru Shri Kripalu Ji Maharaj. As soon as you walk into the temple, you will find the breath-taking deities of Shri Radha Krishna, Shri Sita Rama, Shri Krishna Balaram, the 8 maha-sakhis of Shri Radha Rani, the deity of Jagadguruttam and Shri Amma Ji (Guru-Ma) and many other beautiful sculptures. 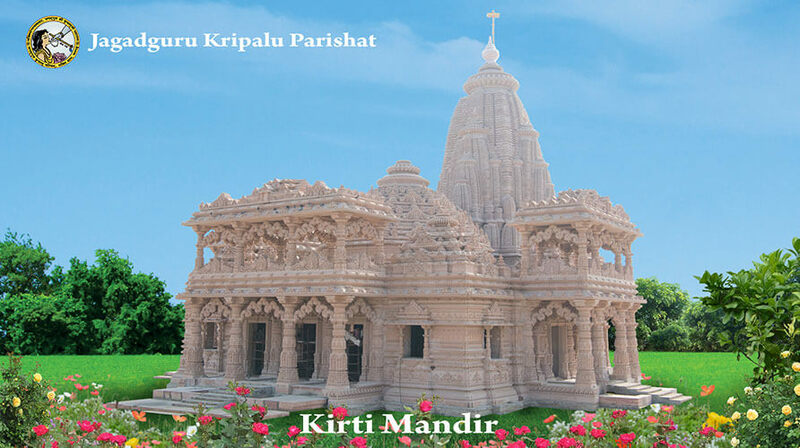 This unique temple is made from makrana marble, granite and pink sandstone, decorated with beautiful mosaics, intricate inlay work and unqiue black granite pillars. A glimpse at the beautiful forms of Shri Radha Krishna steal the mind away from the mundane world and brings it to the Divine easily. 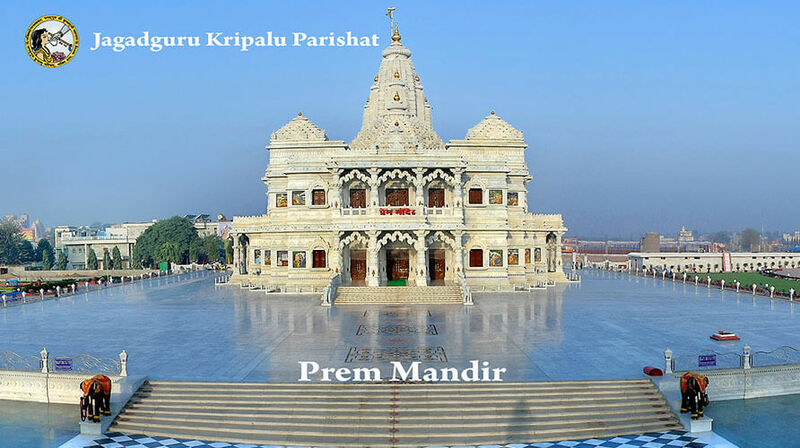 Prem means Love and Prem Mandir is the embodiment of everything that represents true love. Just walk into this breath-taking temple and feel the essence of everything pure and divine within your heart. 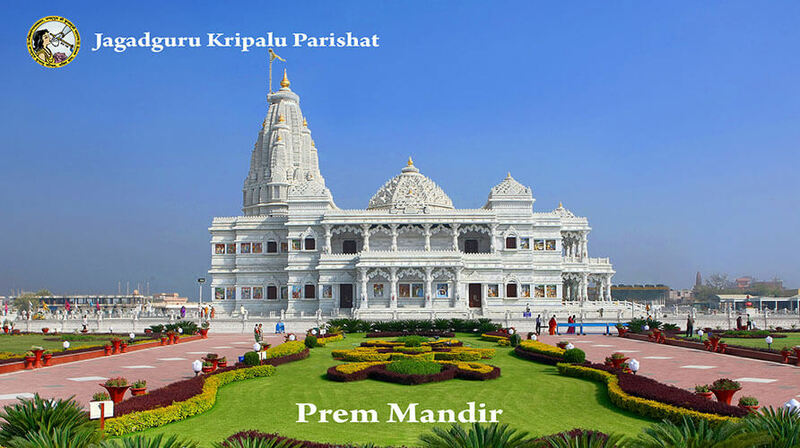 It took twelve years and one thousand skilled artists to give Prem Mandir its special shape and design. 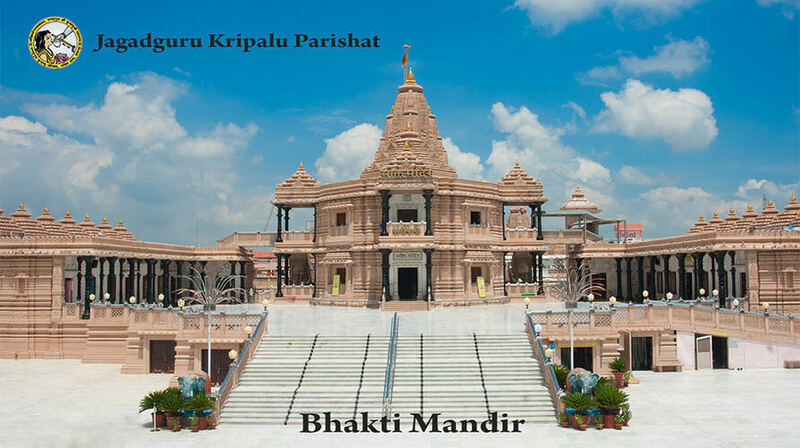 The temple, built under the guidance of Jagadguru Shri Kripalu Ji Maharaj, is one of the most unique in the world. The total height of the temple is 125 feet tall. 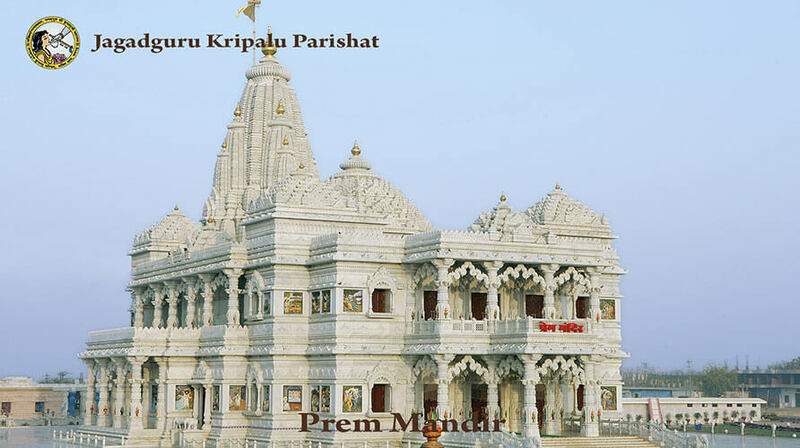 The temple is made from gigantic blocks of grainless, pure white Carrara Italian Marble. No steel, bricks or cement have been used to bind the blocks. The temple is built to withstand the ravages of time. There 84 panels setup on the exterior to display the loving pastimes of Shri Krishna. Beautiful verses that explain the Vedic philosophy are inscribed on the walls of the temple. Kirti Maiya, is the divine Mother of Shri Radha Rani. Shri Radha Rani is the personification of Divine Love and is the soul of the Supreme Lord, Shri Krishna. This temple is the first of its kind in the whole world. Here Shri Radha Rani, is seen in her child-like form and sitting on the lap of Her mother. It is definitely a sight to behold. The temple is built on the holy ground of Barsana near the Shri Ji Temple. There are many wondrous elements of this temple. 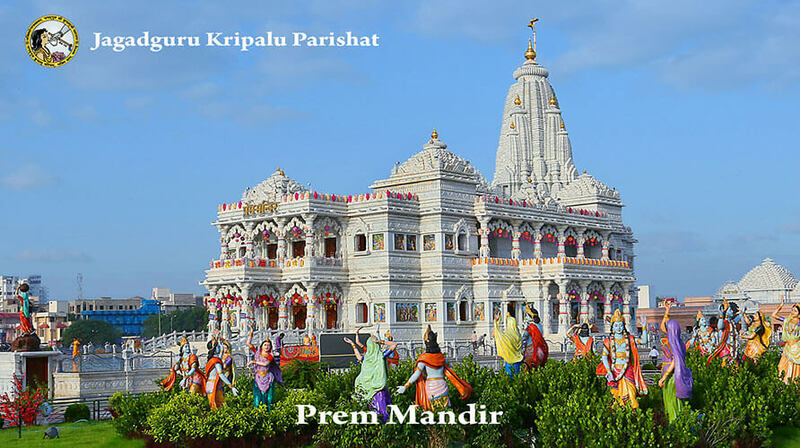 Radha Madhav Dham is the largest Hindu temple and ashram complex in the United States . 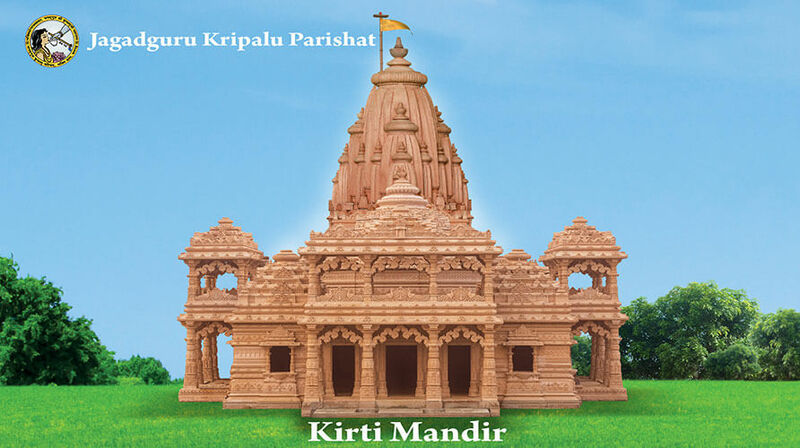 With the Gracious blessing of Shri Jagadguru Kripalu Ji Maharaj, Radha Madhav Dham was established as the main ashram of Jagadguru Kripalu Parishat in the West . The rolling land, blanketed by wildflowers in the spring, and beautified by the meandering stream Kalindi, rises to the highest point in Hays County at the top of Barsana Hill . The temple and ashram buildings are surrounded by charming gardens, walking paths, fountains and ponds . The many peacocks add a flourish of iridescent color to the surroundings, and their calls echo across the fields as they announce themselves to all passers-by . The delightful landscape lends itself to leisurely walks and meditation in its serene holy places .